The original Bags on Board product! Bags on Board is a compact, refillable dispenser which houses a roll of 15 large bio-degradable doggie clean-up bags. 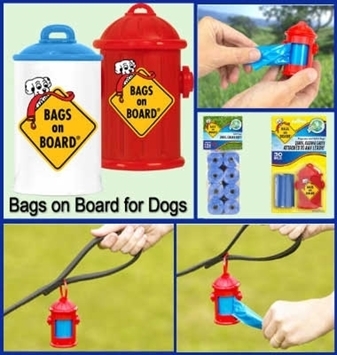 It attaches to any kind of leash - standard or retractable. 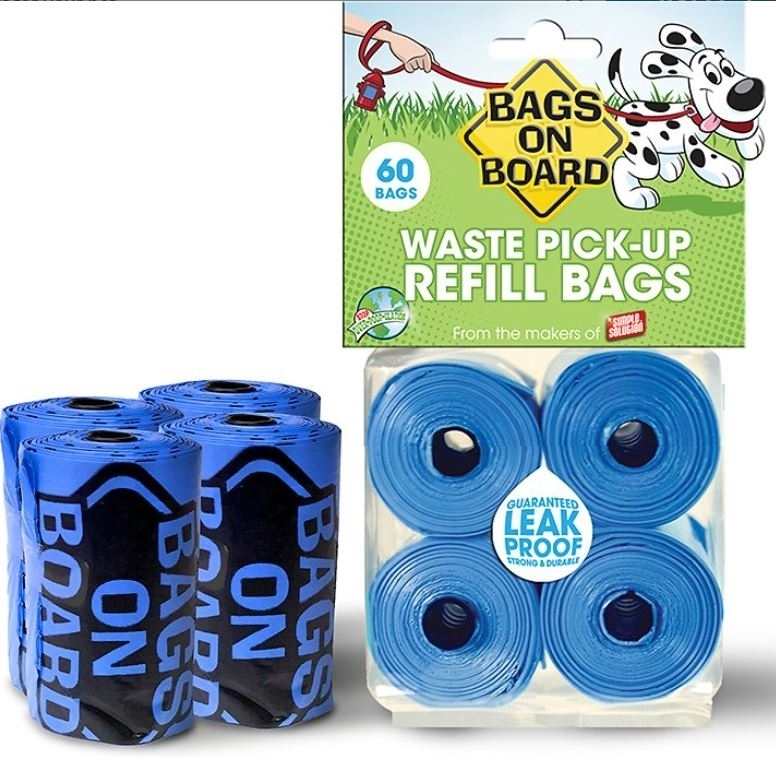 With Bags on Board, you'll always have bags with you.